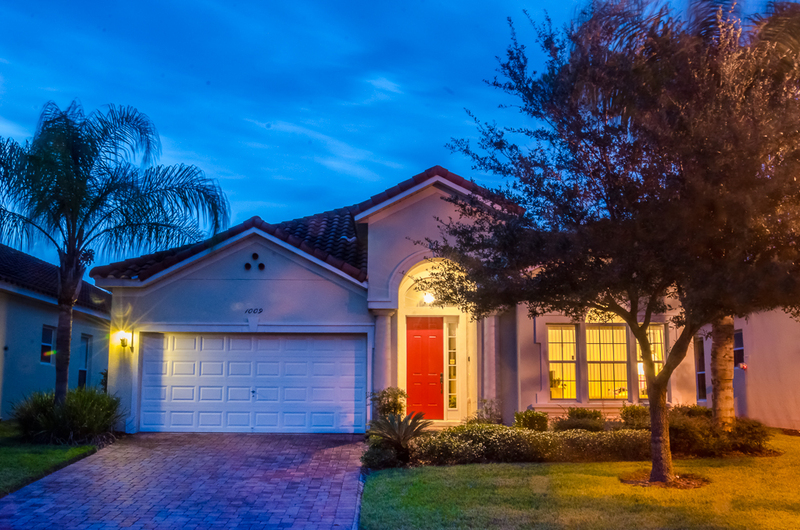 Our beautiful 4 bedroom villa is situated in the prestigious Tuscan Hills development. The house itself is big enough for a large family or two smaller families to share (sleeping 8-10 adults), with just over 1,850 sq.ft of air-conditioned living space. 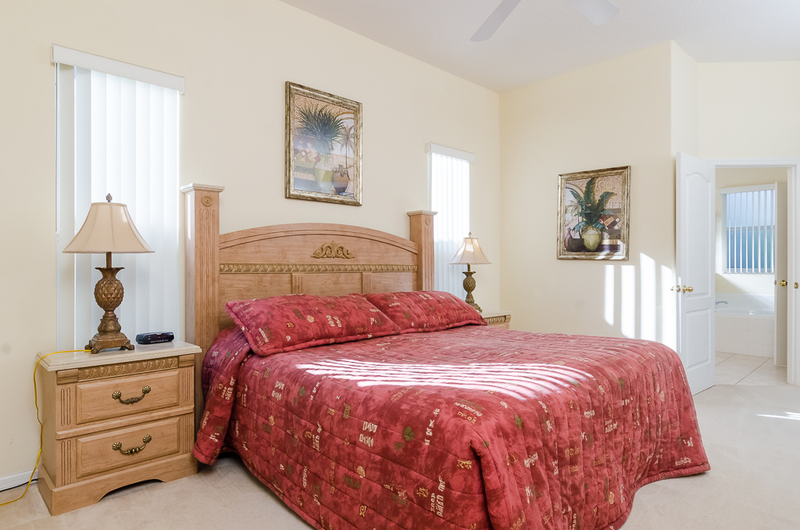 You'll be able to relax around our large 26 by 13 foot pool and should the Florida sunshine become too much, you can either sit in the shaded lanai complete with ceiling fan, retire back inside the villa where all the rooms are kept at a cool and constant temperature, or just lie back in our superb spa. 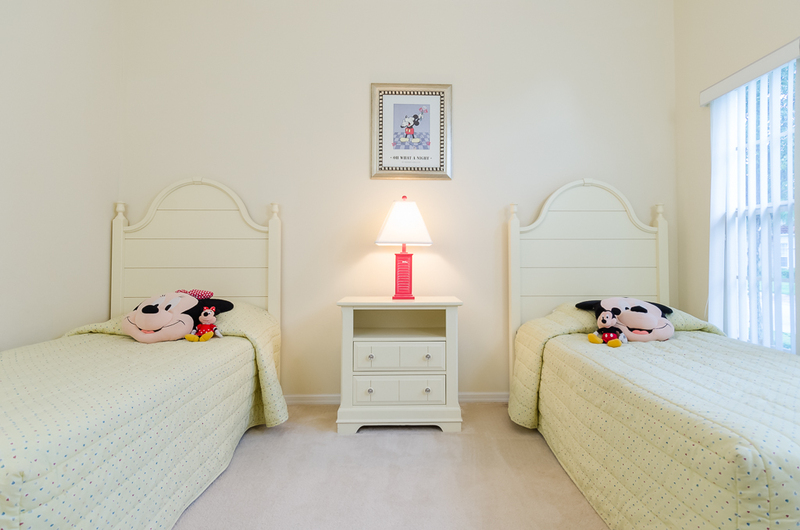 On site facilities include a club house with gym, tennis court, children's tot lot, and beach volley ball court. 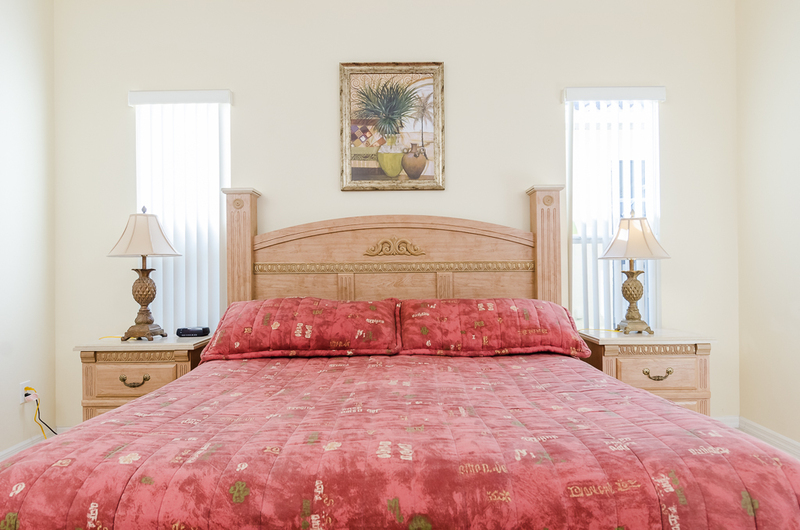 Bedrooms: The villa contains four large bedrooms allowing up to 8 adults to sleep comfortably. 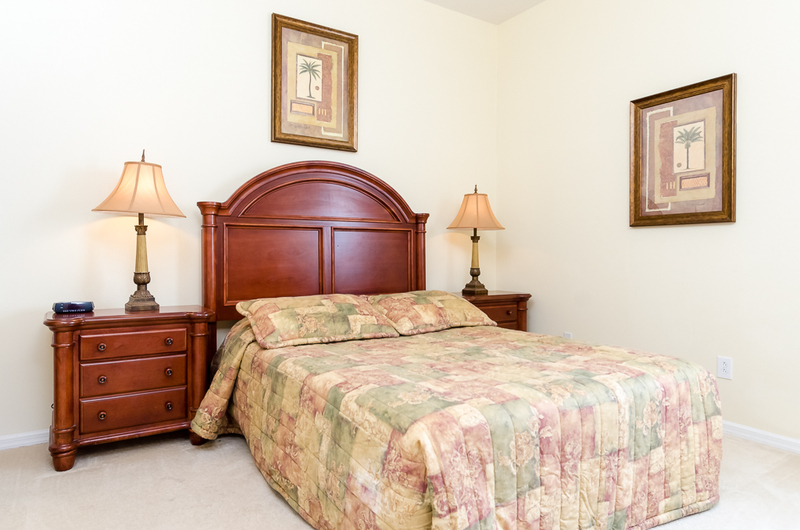 Two of the bedrooms are master suites and two are twin rooms. If you still need to squeeze in a couple more people, there is a sofa located in the lounge. 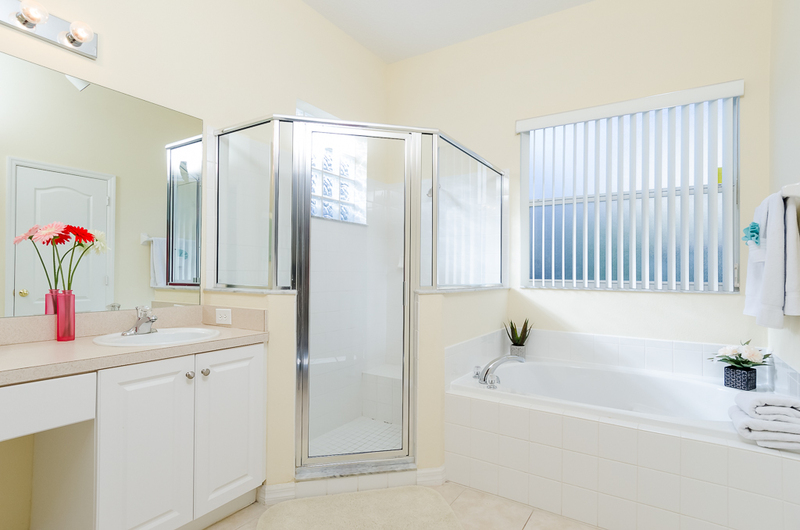 The main master bath has a seperate walk in shower with Roman bath and his and hers basins, hairdryer with seperate toilet. 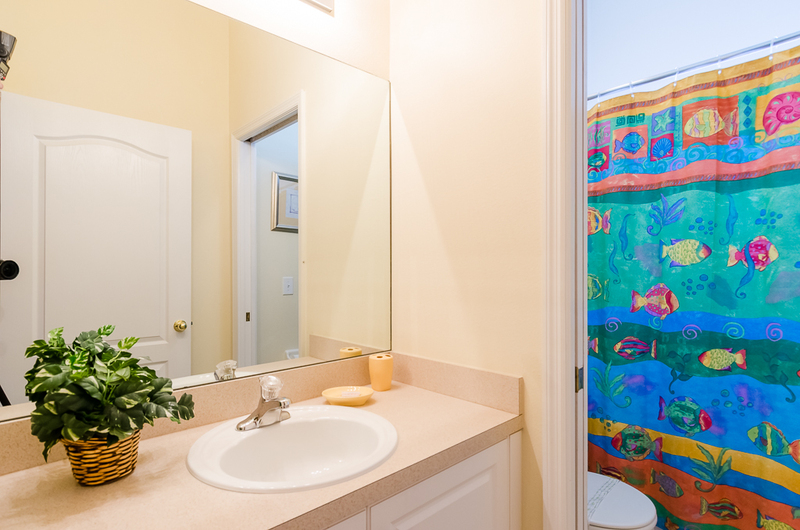 The second bathroom has a bath with shower over and sink, as does the third bathroom, which serves the twin bedrooms. 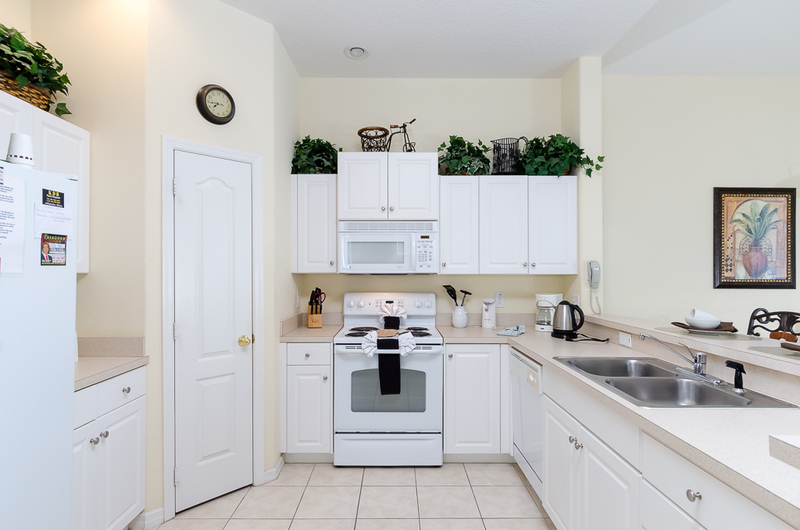 There is a fully fitted kitchen comes complete with all the latest amenities including a heavy-duty cooker, microwave, American fridge/freezer, ice machine, double sink/waste disposal unit, selection of crockery and cutlery, dishwasher and coffee machine and a portable electric grill. If you need to do any laundry, you will find a large washing machine, tumble drier, iron, and ironing board in the utility room. 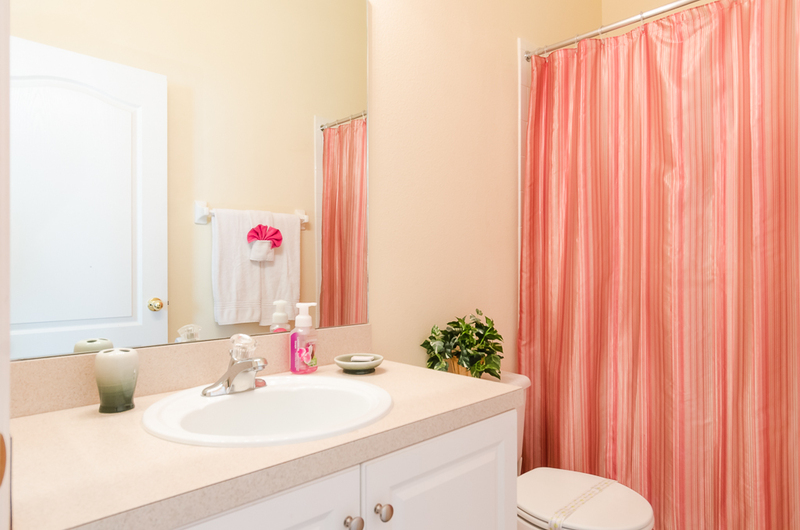 All bedlinen and towels are provided for your needs. 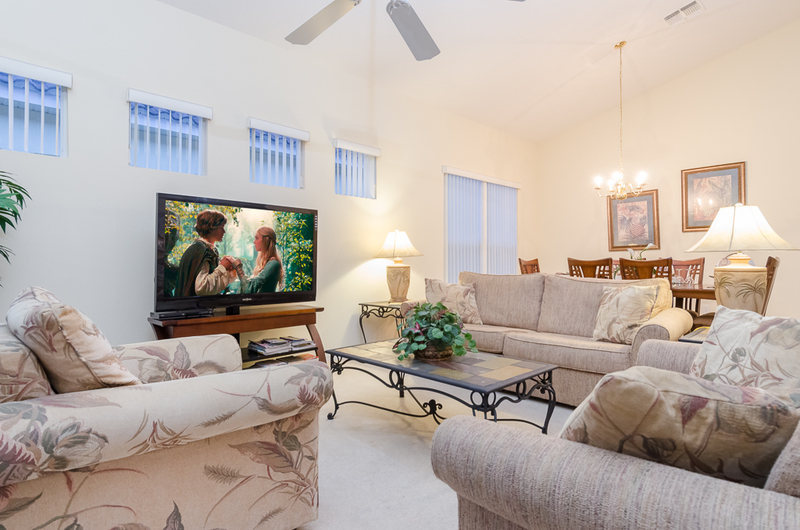 The family room has 2 large luxurious sofas, allowing the whole family to sit down together at the end of each day. 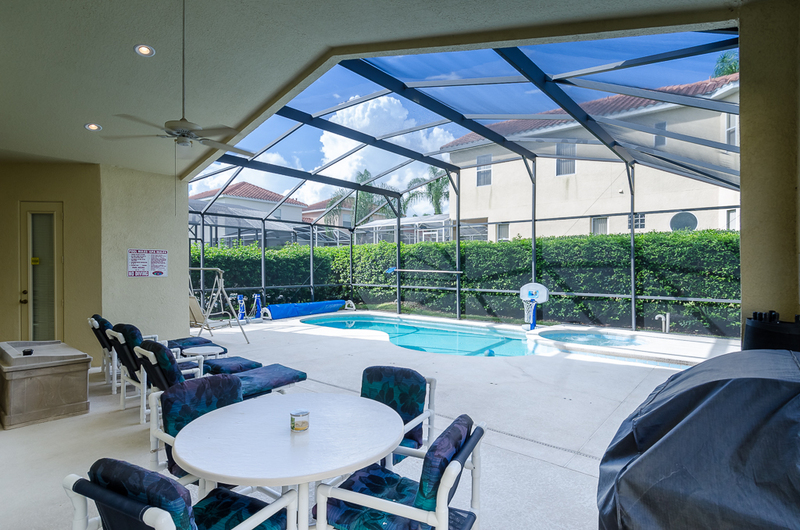 Patio doors allow direct access out onto the pool deck. 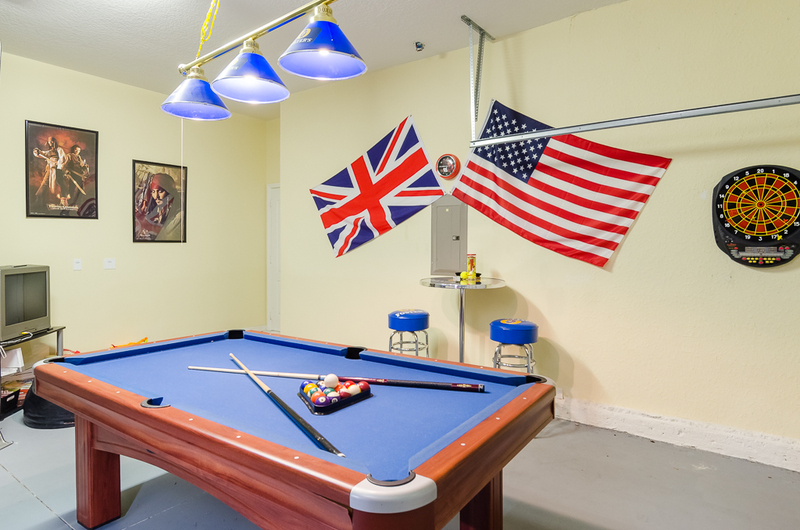 To keep everyone entertained you will find a 55" flat screen TV with cable , Blu Ray Player with FREE Movies to Stream from our FREE WI FI and CD player. 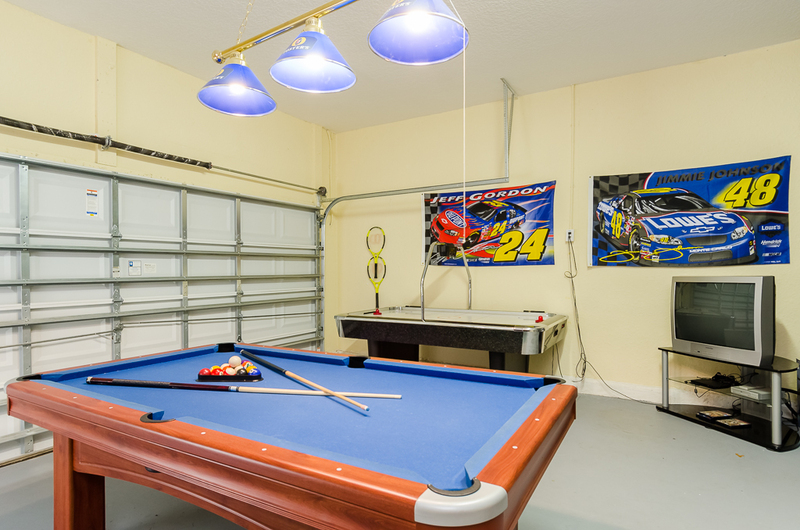 The 26ft X 13ft pool is surrounded by an extended decking area that includes a covered lanai with ceiling fan, table and chairs ideal for meals and relaxing in the shade. 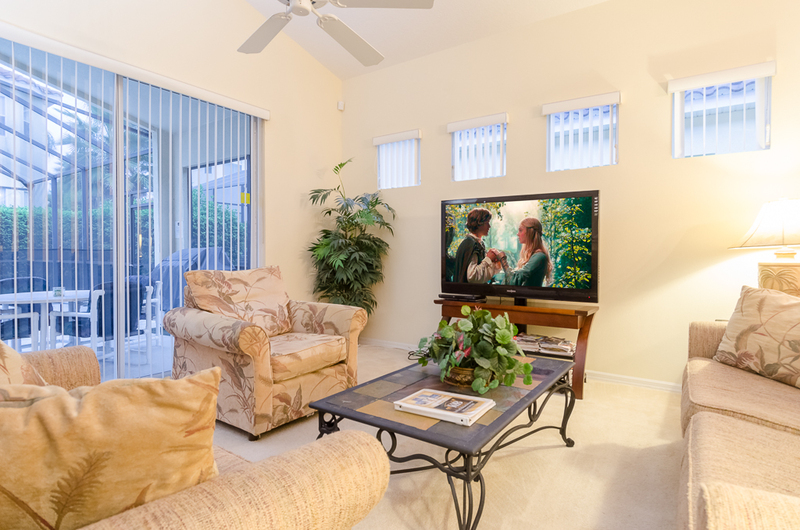 The patio furniture is all upgraded and there are four recliner/sun loungers, so you can relax in between days out. 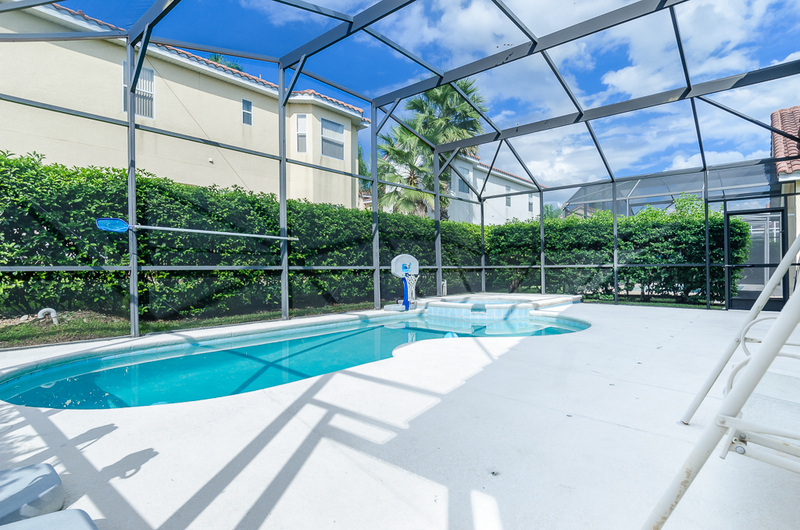 There is a safety fence around the pool if required for your child’s protection. 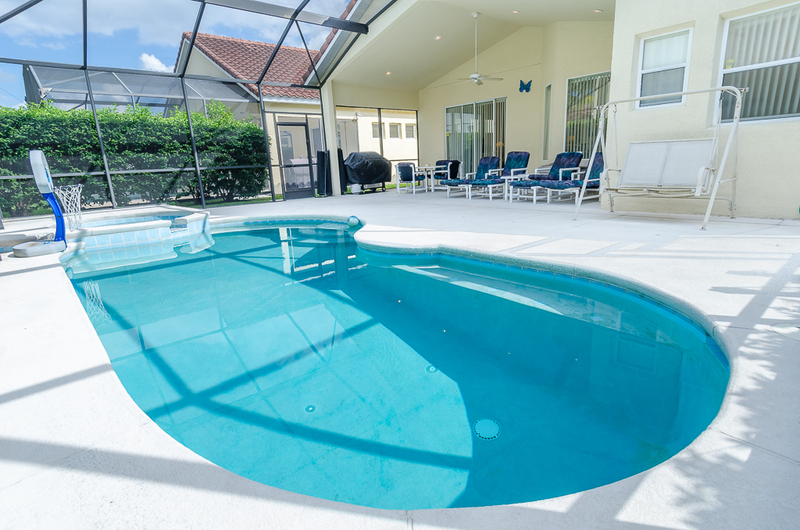 The whole pool area is screened to keep out any irritating pests and the pool can be heated during the cooler months. House was clean and exactly as described on website. I called customer care as bathtub was not draining and they sent someone to fix it promptly. As recycle guidelines vary from country and states, they should have more details on what can be recycled as we did not know. Property was great and we would return in future. Thank you for the feedback, will look into provide more clear instructions on the recycle and trash. 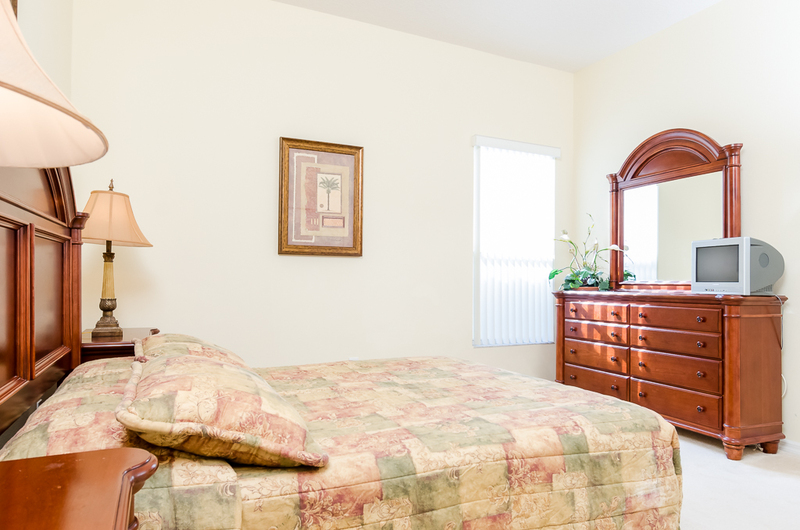 The property was clean and well maintained. It looked exactly as it did in the pictures (a rarity). 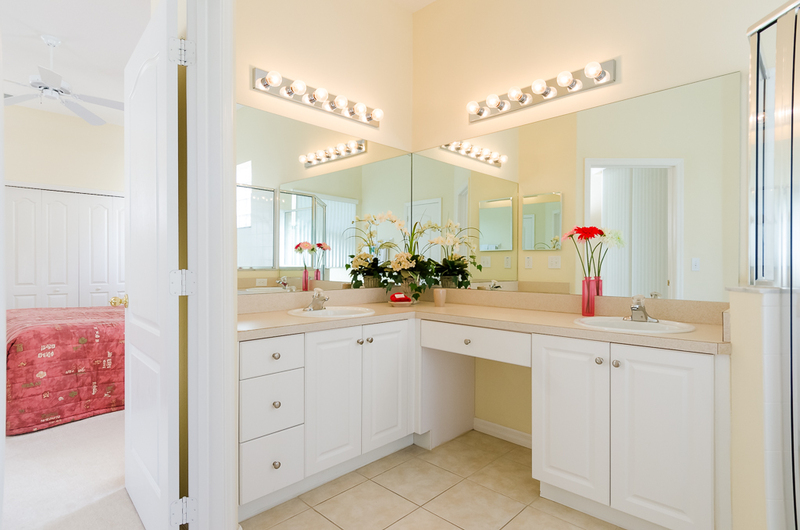 Everything from the pool to the bathrooms were clean and obviously well maintained. Check in was a breeze as I was given clear and accurate instructions. My only issue was the 2nd to last night we returned to the house to find we hand no water. The after hours person from the management company (Veronica) was rude and came off as dismissive and disinterested. It took hours and numerous calls back to the emergency line before the issue was resolved (evidently, the owner did not pay the water bill!). This was an outrageous situation that was handled horribly. Speaking to the office the next day, they were very apologetic and accomodating... but my displeasure with this so-called "emergency line" remains. Other than that hiccup, It was a wonderful stay. The house was amazing!! Exactly as described on the site. We have a wonderful time on Tuscan Hills. Thank you Orlando4Villas for this opportunity. 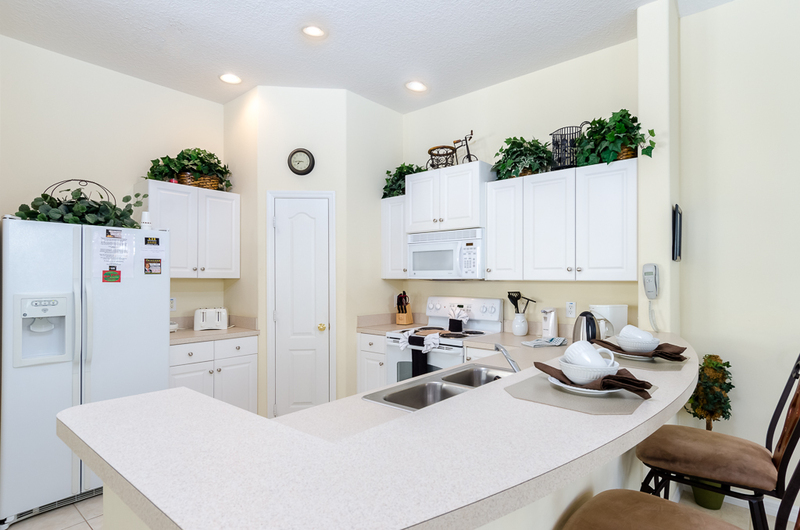 The house was clean and well maintained.Quiet and beautiful neighborhood. 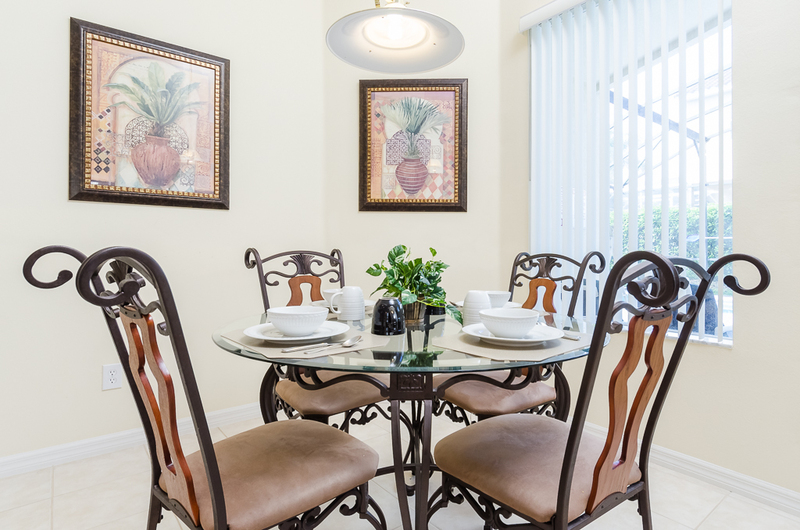 Tuscan Hills is a brand new development near Kissimmee that combines the timeless style and atmosphere of classic Floridian homes with the ease and sophistication of modern American living. 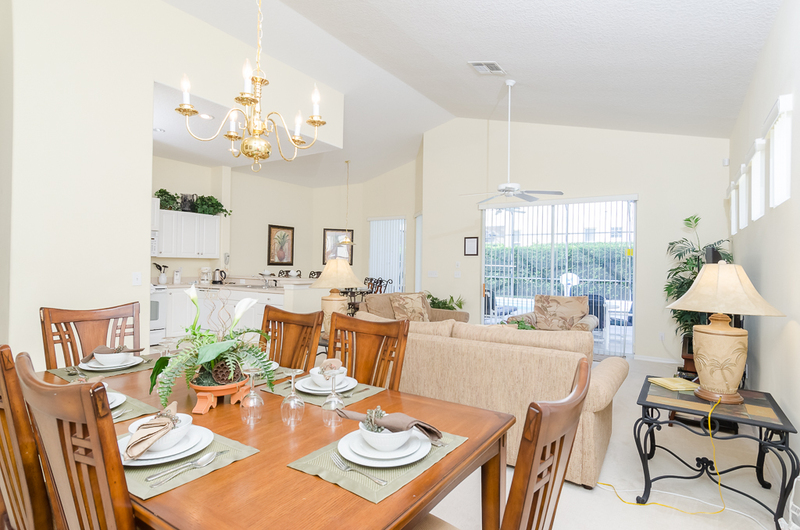 This gated community has a large number of rental properties and would suit anyone that likes a relaxed pace of life, but with many facilities on-site, there’s everything for the more active person as well. Not only that but each property is slightly different, both inside and out, so there isn’t the generic sameness that hotels supply their guests with. From the clubhouse and restaurant that welcome you as you drive in to the palm tree-lined roads surrounding the properties, everything about Tuscan Hills is above expectations; right down to the brick-paved driveways connecting each villa to the road as they are unarguably more visually pleasing than the poured concrete versions that are often seen in communities of lesser quality. Both the compact townhouses and the spacious villas offer the highest levels of comfort and convenience in a setting that’s as peaceful, or as energetic, as you make it; and with a private pool at the rear of each villa, you don’t have to go far to relax. Should you wish to explore the area you’ll find smooth paths lined with attractive greenery and well-kept lawns leading you round the entire development easily. 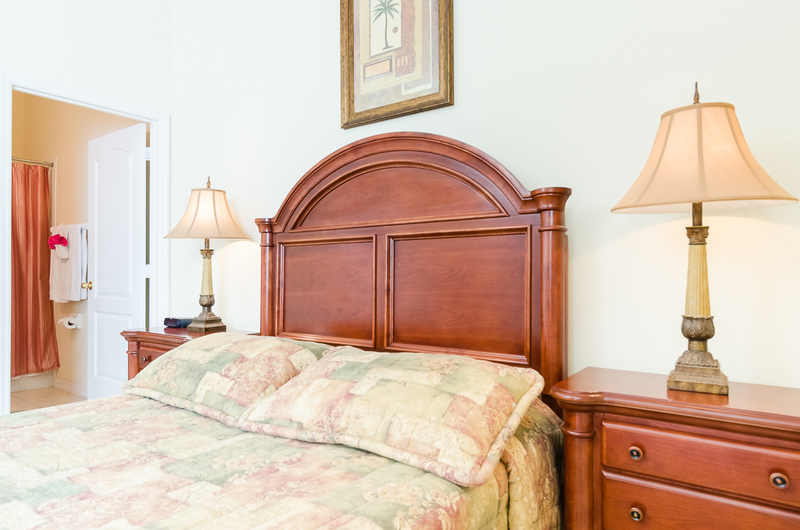 The beautiful clubhouse is the centrepiece of the resort, both visually and engagingly, with a fabulous turn-of-the-century style fountain in front of it and high-speed internet access and tennis courts amongst the many things it offers. 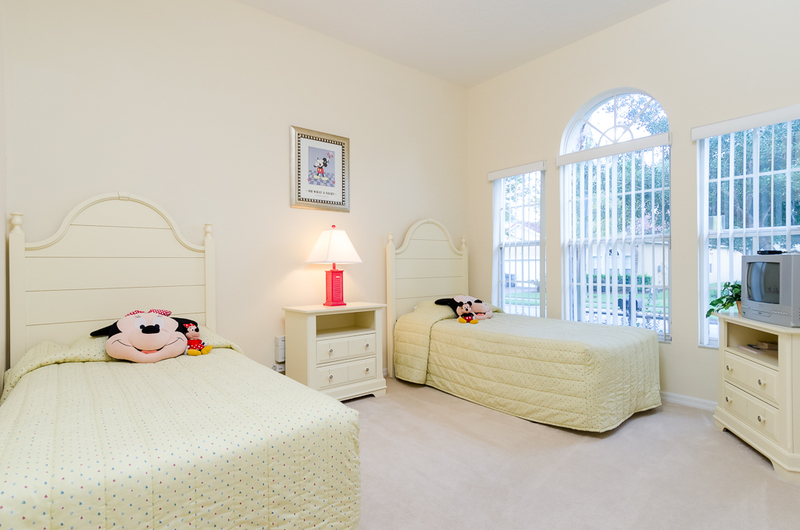 Not only that but all the major attractions that draw so many people to Orlando, such as Walt Disney World, Universal Studios, Sea World etc, are within a few minutes drive of Tuscan Hills due to its excellent location. This same location means that from Orlando Sanford airport it’s around an hours drive to the resort with no remote or hard to find roads; just freeway all the way. 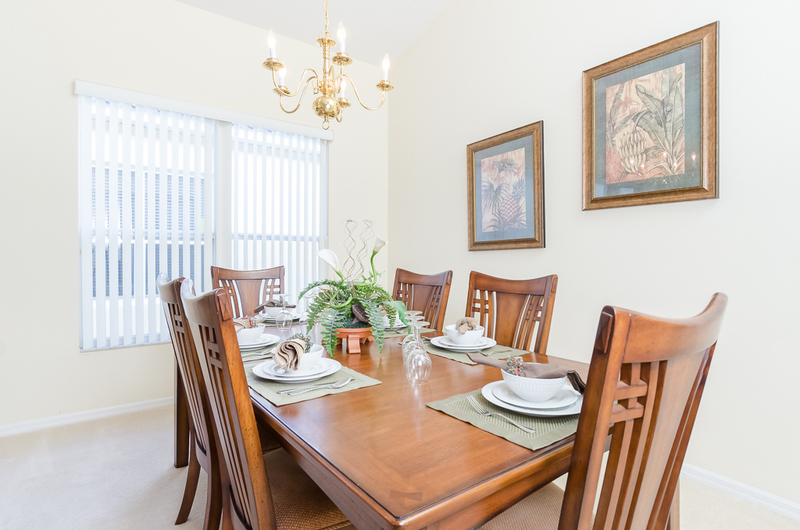 Orlando4Villas opinion, Tuscan Hills Resort offers much for the family coming on vacation to the Orlando / Kissimmee area. 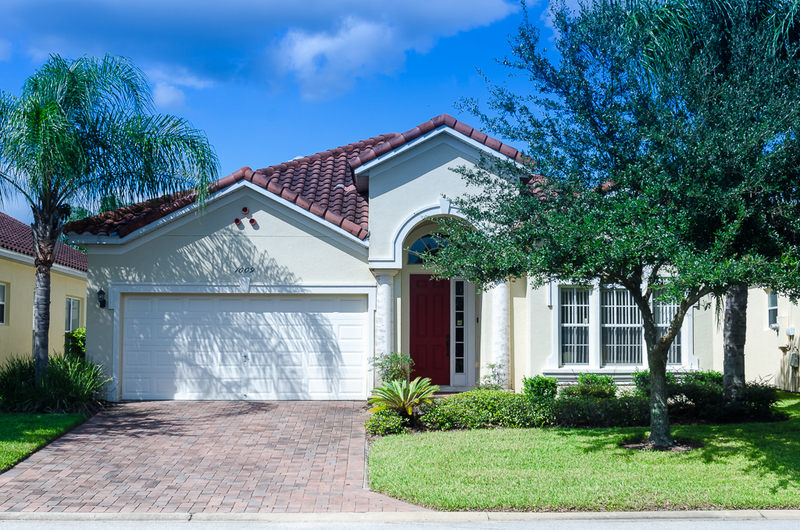 The community is perfect for a great family holiday, Orlando4Villas has the large selection of vacataion homes available for rent in Tuscan Hills.